Alpha Japanese School London has a vast range of courses to suit all learners, from beginners to the advanced. All of our teachers are native speakers and have completed a Japanese Agency of Cultural Affairs based teacher training course, so quality is assured too. Please contact our reception staff for course availability, lesson times, alternative combinations of days, or if you have any other questions. Lessons can be transferred to all other Alpha schools on request. Trial course. 10 week (20 hours) beginners course, suitable for complete beginners. After completing this course, students will be able to daily activities(present and past), go shopping, tell the time, etc. Also Hiragana, one of the Japanese original characters, will be taught. Our signature course. Very popular flexible small group lessons, available for all levels. Credit system: lessons cancelled with at least 24 hours notice can be taken at a later date. Join an on-going group at any time after a level check. There are 15-20 different level courses available on average. Complete beginners should consult reception staff for the next start date. You can choose the course duration depending on your requirements (1 week to 8 weeks) and you can start at any time. Perfect for before travelling to Japan or exams etc... All levels. Study at your pace - your teacher will make a special syllabus just for you. Suitable for busy people, or those with specific requirements. One hour or longer. You can choose the duration: 6 months or 1 year and you can start at any time. Suitable for people who wish to improve quickly or/and study Japanese to a high level. Great course for gap-year students. 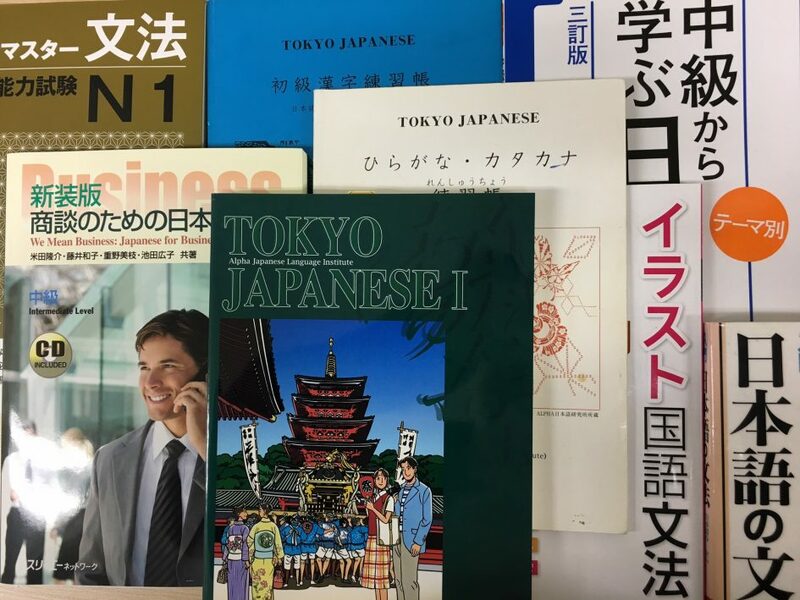 After 6 months students will be able to communicate comfortably in everyday situations, read simple passages, and write on familiar topics using around 500 kanjis (Chinese characters). The equivalent JLPT level is N4. After 1 year, students will be able to express their opinions on wide range of topics, read newspapers, and understand TV fairly well. 1000 kanjis are expected to be recognised. The equivalent JLPT level is N2. A free conversation style class for those who have already completed "Minna no Nihongo" books 1 and 2. Two levels, intermediate and advanced - a great course to improve your conversation / discussion skills using the various sentence patterns you have already learned. Join the course at anytime!